Big enough for living large. Small enough to know your neighbors. Exercise your power. Plan your own future. 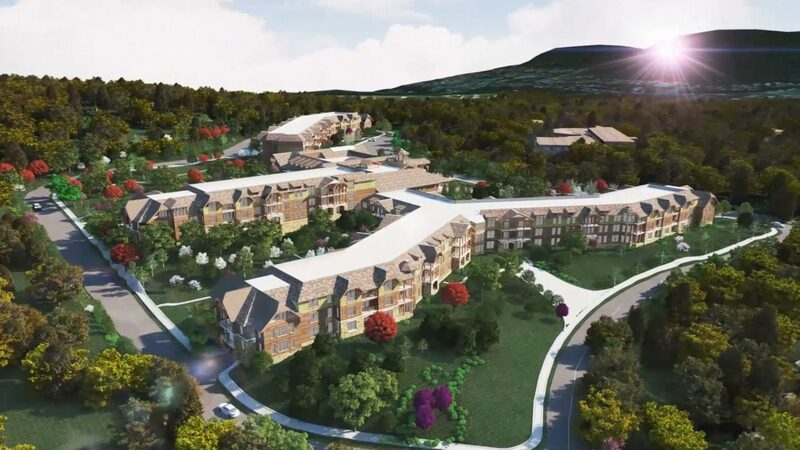 At The Vista, a new retirement community coming to northern New Jersey, the health-care services, amenities, and programs will be designed with one important concept in mind: to help you maintain control of your own life – today and in the future. You’ll be given every opportunity to live well, and stay well at The Vista. Only at The Vista will you receive an innovative, personalized life plan with extraordinary amenities, such as finely detailed apartment homes, multiple culinary options, cultural arts center, state-of-the-art fitness and aquatic center, and social programming to keep you active and independent. All this is amidst nature’s richly wooded setting with mountain views on the Christian Health Care Center campus. The Vista Information Center, located in Cedar Hill Plaza, provides you a firsthand look at the vision of the community. View a full-scale model of the community, level plans, floor plans and more. Talk to our residency counselors about all that life at The Vista will offer. Now open on Saturdays. Call today for an appointment! With 20 plans to choose from, you’re bound to find something that fits your desires. Each one- and two-bedroom apartment has been thoughtfully designed and includes a full kitchen, washer and dryer, and much more. Our events are a great way to learn more about The Vista while making friends and enjoying a delicious meal. Ask any questions that are on your mind, and chat with Vista staff and future residents. Stop by Saturday, May 4, between 10 a.m. and noon to view our scale model and renderings, peruse floor plans, and experience the community through virtual tours. Light refreshments will be available during open house hours. For more information, or to schedule an appointment outside our open house hours, call (201) 848-4200. Your inspired living experience starts here. Contact us to visit the Information Center.